Camping can be a great opportunity for your family, or any other group, to relax, reconnect, and learn to work together. Unlike a lot of other vacation activities, camping requires the participants to collaborate to meet the basic needs of the group. On a camping trip, you will have to put together your own shelter, whether it be a tent, a pop-up, or even an RV. In all cases, some setup is always required. Since most campsites do not come with amenities such as room service or maid service, your group will need to prepare food and clean up after yourselves. Even entertainment will require some effort and creativity. You will have to bring everything you need to survive for a certain number of days, and a camping checklist can help make sure you are prepared. The types of things you will need to bring, and the level of effort involved will vary greatly depending on the type of camping trip you plan. Trailer campers and RVs come with a level of comfort not offered by a tent. It’s also easy to store a variety of food in a camper or RV than in a tent. However, camping in a tent allows you to experience nature in a way that isn’t possible with a camper or RV. Both options are valid and can be part of a successful vacation. Use this article to determine which type of trip is best for you. Then use our camping checklist to make sure you have everything you need for a successful trip. What Is the Point of a Camping Checklist? A camping checklist is a way to make sure you have all the necessary supplies for a camping trip. There are certain items that are must-haves—things that you will need to survive in whatever environment you’ve chosen. Sleeping outdoors can be a fun adventure, but only if you have the basic supplies. You don’t want your family camping trip to turn into a Mission Survive. That’s a very different kind of endeavor. A camping checklist also helps to make sure you have all the things that will make the trip more fun. You’ll want to do more than just survive the night. A camping trip is an opportunity to make lots of great memories and bond with your family or friends, and you’ll want to be prepared. How Will the Type of Camping Determine My Supplies? As you plan your trip, it’s important to know that there are three different kinds of camping checklists. The fourth type of camping, which we will refer to as survival camping, is not included in this article because we are focusing on camping for leisure. Survival camping involves staying outdoors with minimal supplies and “living off the land” for a certain amount of time. If you would like more information about this type of trip, check out the best survival schools in America according to USA Today here or our exclusive interview with prepping and survival expert Wild Bill here. Each one of these types of camping requires different gear, a different budget, and may be more suitable for some groups than others. 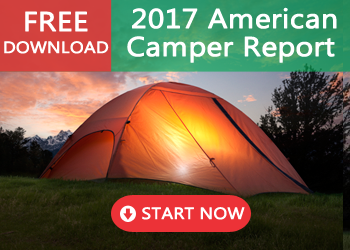 Before going camping, it’s important to consider all of them and decide which one best fits your group of campers. Tent camping is great for groups of all sizes and skill levels. You will be limited only by the size of the tent or tents that you purchase. Some of the largest camping tents can hold up to 20 people. These luxury tents often have separate rooms and “screened porches.” For this reason, a tent camping trip would be great for a small family looking to get away for the weekend or for a large, extended family. Tent camping requires being fairly accustomed to outdoor life, as you will be out in the elements for at least one night, but most likely several. Choosing a campground with shower and restroom facilities can make your trip more comfortable. You will need to be prepared to pitch your tent by yourself, to set up makeshift beds using air mattresses or blankets, and to make a fire to cook meals. Some campgrounds offer fire pits and running water. If you don’t choose one of these campgrounds, you will need to build a safe fire pit and use water from a local water source. For your safety, boil or purify any ounce of water you plan to use this way. Tent camping will require packing more supplies and will require more work, but this can make it a great team-building trip. A lot of church groups, teams, and clubs choose to go camping in order to teach members how to work together. Also, tent camping can be done very inexpensively, which also makes it a great option for families and groups of children or teens. When you select your location for tent camping, you can go as rugged or as comfortable as you would like. As we mentioned before, some campsites offer prepared tent sites, running water, fire pits, picnic tables, restrooms, and showers. Other campgrounds simply provide the permission to camp, leaving the rest to you. Choose which kind of campsite best suits you and then start working your way through the camping checklist. Pop-up camper or pop-up trailer camping is a step forward from conventional tent camping. A pop-up camper or tent trailer is pulled behind a vehicle and quite literally pops up to create a sturdy tent structure. Some are made out of canvas and are very similar to a camping tent while others are sturdier. Pop-up tent trailers generally require some setup but most pop-ups simply open into a ready-made structure. They offer a sleeping area, a kitchenette, and protection from the elements. They have hookups for electricity and water and often come with a stove top. They are usually small, however, so they’re best for single-family trips. In a pop-up tent trailer, you will be able to prepare food, and you will have light so that you will need fewer supplies than for tent camping. You can bring a wider variety of food and preparation will be faster and easier. There is also less concern about where you will sleep, and you will have protection from any inclement weather. You will still need to tap any bathroom and shower facilities if you don’t plan to use the outdoors. 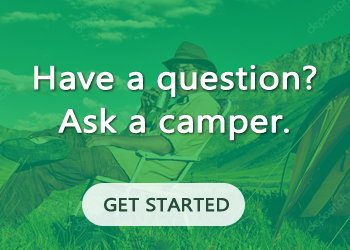 When you select a location for a pop-up camper, you will need to select a fairly level campsite with electricity and water hookups. You will need to make sure your campground allows pop-ups. Purchase or rent the pop-up, and get a vehicle that is equipped to pull it. These expenses can make this kind of camping out of reach for certain people. Your camping checklist will be slightly different for this kind of camping. RV camping is the most luxurious kind of camping. Some people argue that this isn’t “real” camping, but it’s a great option for some people. This is a great choice for families who want to travel minus the hefty hotel bill. RV’s are wonderful for retired couples that don’t want to be tied down. Renting an RV is a great way to camp while still having some of the amenities of home. It’s especially good for families with very small children or older adults who can’t sleep outdoors. RVs, or recreational vehicles, are long-bus or van-like vehicles that can hold 12 people or more. They usually have beds or bunks, a bathroom, a kitchenette, a living area and can be driven independently. Some smaller RVs can be towed, but the larger vehicles are autonomous. RVs have hookups for water, electricity, and sewer, so it is possible to go camping without needing a bathhouse. There are lots of RV parks across the country that are ready for hookup. It’s possible to take extended camping trips in an RV. Some people even drive them cross- country to see as much as possible! Although some people don’t consider this camping, it’s a great family activity. Your camping checklist will be very different for an RV trip. Also, RVs can be very expensive, so this may not be an option for some groups. 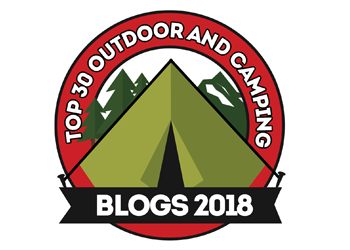 Check out our interview with blogger Susan Strayer on her family’s one-year-long full-time RV trip to get a glimpse of life with kids in an RV. The following camping checklist is comprehensive. If you stick to this list, you’ll be prepared for any type of camping trip. It assumes you will be tent camping, which means you will need the most supplies. There is an addendum list at the bottom with items you may wish to bring if you are camping in a pop-up or RV. If you are using either of these two methods, eliminate whatever items from the list you do not need, such as tents and tent supplies. The basics include all the things you will need to set up a shelter and provide basic safety. This section also includes fire-making supplies and things you will need to make sleeping outdoors more comfortable. Most of these things are not needed if you are RV camping. The type of clothing you will need depends on the climate and season when you intend to go camping. No matter where you are, plan for it to be cooler at night. It’s a good idea to pack a few more layers and items than you think you will need. Since the weather can suddenly change, include items for a wide range of temperatures even in summer. Also, prepare for events such as rain and, if you are at a high elevation, snow. When you are packing your kitchen supplies, double and triple check to make sure you have everything you need for whatever meals you choose. If you pack canned goods, make sure you have a can opener. Also, ensure that all your pots and pans are safe to use over a fire. Pack thick oven mitts as pans will be very hot. If you are tent camping, you can be as simple or complex with your food as you would like as long as it is non-perishable. Easy meals include hot dogs, one-pot chili, sandwiches, canned soup or beans. Breakfast items like eggs, bacon, and grits can be made over a camp stove. Use a cooler to keep things like eggs and bacon cold until they are cooked. Store the cooler in a locked vehicle. If you are RV camping, your choices are endless as long as your supplies fit into your RV’s freezer and refrigerator. Most campground bathhouses do not provide toilet paper, paper towels, or soap. Pack all of these items for yourself. Using a plastic basket with a handle is a great way to carry your supplies back and forth to the bathhouse. Make sure you put toothbrushes in a sanitary container and use plastic Ziploc bags to store anything that can spill, such as shampoo, conditioner, and lotion. You can also check our step-by-step guide to how to pack toiletries for camping first. First aid supplies are a must on any camping trip. While playing outdoors, people often get minor injuries or may have minor allergic reactions. Having a kit stocked with supplies to bandage minor cuts and soothe the itching can save you from having to leave the campsite for medical attention. Check out our guide to the ultimate wilderness first-aid kit, too! Your activity choices while camping are endless as long as you’re willing to pack the supplies. While you’re outdoors, avoid using technology like cell phones and computers if possible. Come up with creative ideas for games and crafts based on the particularities of the campsite. Take the opportunity to learn about the surrounding environment. Take pictures of plants and wildlife and look them up when you get home. Make a camping scrapbook or memory box with items you find on the trip. There are so many ways to stay busy on a camping trip. Store all food in sealed plastic containers to keep animals away. Hang trash up high and keep cookware locked up. Use your vehicle to store food and supplies overnight. Use caution when starting fires and make sure they are extinguished properly at night and when you leave. Practice water safety at all times. Never leave small children unattended on a campsite. Always consume all food at mealtime and properly dispose of leftovers. Dispose of all trash correctly. Respect the environment and never litter. Leave the campsite as you found it. It’s possible to have a successful camping trip with just the bare minimum. A family can have a great weekend away with just a tent, some non-perishable food, and basic cooking supplies. However, use this camping checklist for your peace of mind, as you’ll know that you have gotten everything you may need. Tweak the list as necessary for your family or group’s individual needs. If you are using an RV, be a little more creative with what you bring. Have a gourmet meal at a beautiful, remote location. Or pitch a tent by a lake near your house and cook hot dogs with your children. Camping is the vacation activity with a million options. All you need is a bit of creativity and a great camping checklist for the best camping trip ever!